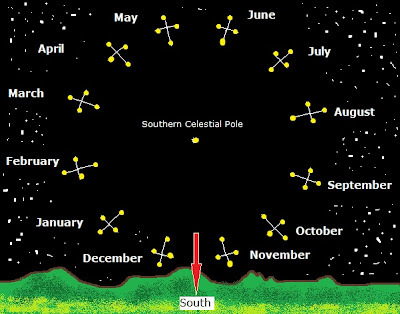 There is no "Pole Star" in the southern sky. Like all stars and the stars that make up the Southern Cross rotate throughout the night around the South Celestial Pole. Since this motion is due to the earth spinning around they will complete one full circle in one day. This means the actual location of the Cross in the sky will depend on the time of night you try and observe it. Because there is no star bright enough to be easily recognized near the south celestial pole, a constellation known as the Southern Cross is used to assist in locating South. The Southern Cross consist of five stars. Its four brightest stars form a cross that tilts to one side. The two stars that make up the cross's long axis are the pointer stars. 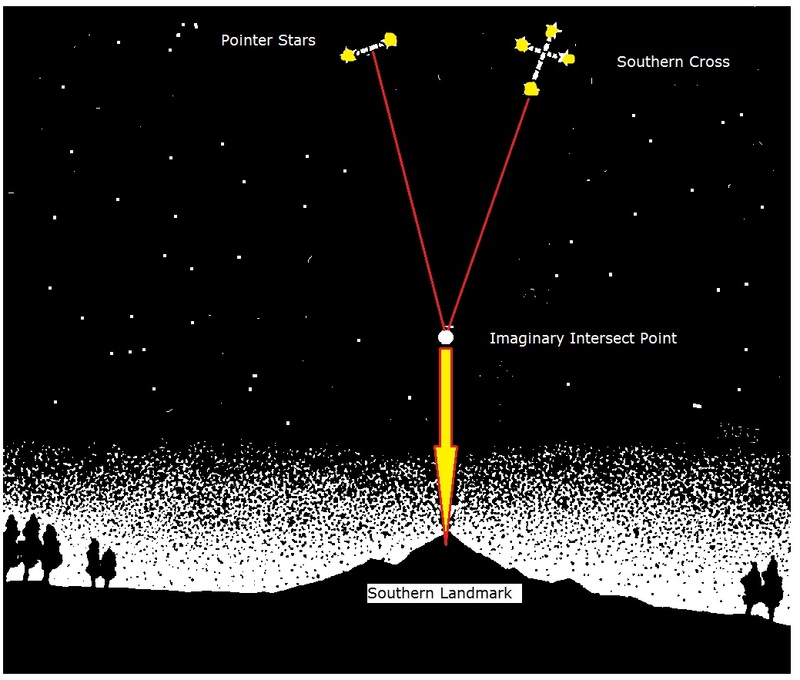 To determine south, imagine a distance five times the distance between these stars and the point where this imaginary line ends is in the general direction of south. Look down to the horizon from this imaginary point and select a landmark to steer by. Another method is to extend the long axis of the Cross below the Cross for as far as you like. Then, draw another line starting from half way between the two pointer stars and at 90 degrees to the line joining them. Where these two lines cross is once again roughly the South Celestial Pole. See the above diagram. If you were to look at one particular star at the same time each night however you would also notice that it appears to be in a slightly different position from night to night. This is because it rises approximately 4 minutes earlier each day. The Cross will appear in a different position in the sky depending on the time of year you look. Winter nights around April, May, June and July are the best times to look at the Cross of an early evening. 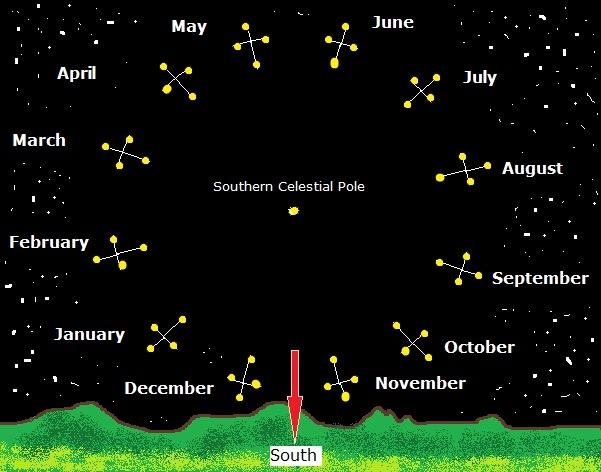 Look at the diagram below to determine the position of the Southern Cross at different times of the year. 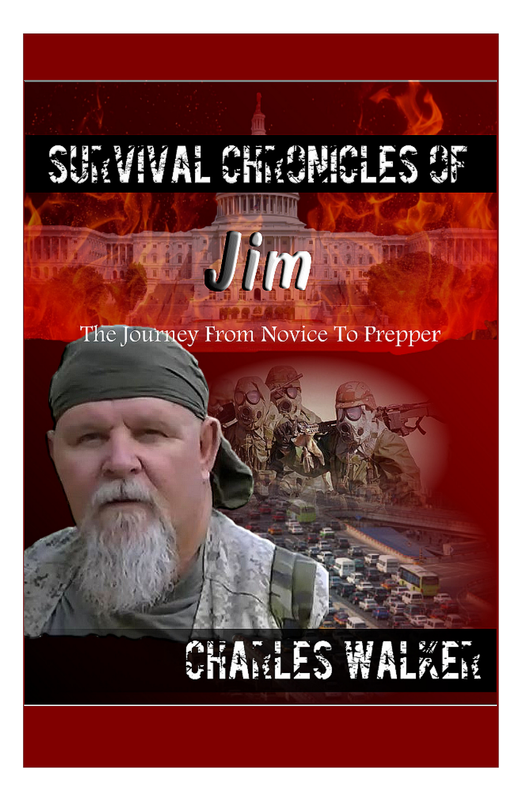 Once you have roughly located south, try to locate a landmark off in the distance to use for navigational purposes.